As a plug-in for Windows Media Player 9, Winamp 2, and Winamp 3, Ozone adds warmth, bass, sparkle and an overall desirable sound to your MP3s. Unlike other 'enhancers', it does so by modeling the analog characteristics of vintage audio equipment such as tube amplifiers and valve equalizers. So instead of sounding harsh and hollow, your music sounds deep and full. Analog modeled audio enhancement. 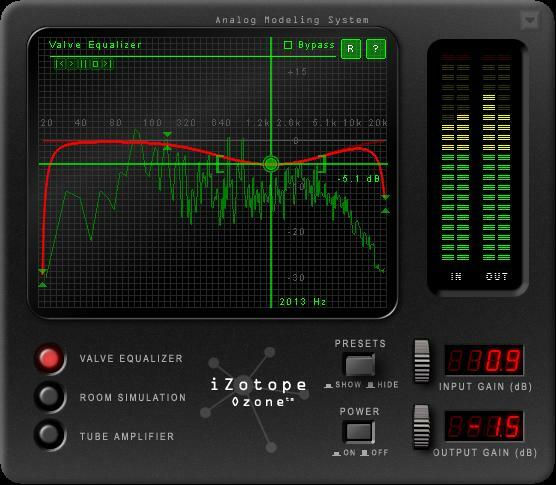 Analog modeled EQ, tube compressors, and more. MIDI playerfor auditioning and modifying all types of MIDI files / jukebox. Qweas is providing links to Ozone for Windows Media Player 9 1.03 as a courtesy, and makes no representations regarding Ozone for Windows Media Player 9 or any other applications or any information related thereto. Any questions, complaints or claims regarding this application Ozone for Windows Media Player 9 1.03 must be directed to the appropriate software vendor. You may click the publisher link of Ozone for Windows Media Player 9 on the top of this page to get more details about the vendor.